Pain management is definitely a hot topic and one discussed at NTI 2018. Allnurses recently interviewed pain control expert, Catherine Ewing. 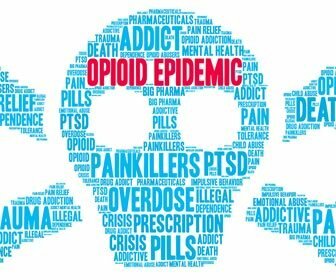 The opioid epidemic is a hot topic in today's headlines affecting more than 1 million people across the United States. As part of the multidisciplinary healthcare team, the nurse plays an important role in providing safe pain management using a multimodal approach. Catherine Ewing, BSN, RN shares strategies for optimal outcomes for pain control including safe prescribing and follow-ups as needed. At NTI 2018, allnurses.com's Community Director Mary Watts interviewed Catherine Ewing, BSN, RN who addressed the nurses' role in the opioid epidemic. She discussed the recent changes to the Centers for Disease Control and Prevention's recommendations. She stated, "The purpose of these guidelines is not to deny people pain medications but to prescribe safely and have prescribers practice follow-up." Catherine Ewing holds a BSN from the College of Saint Teresa in Winona, Minnesota. She works in the Department of Anesthesia Inpatient Pain Service at the Mayo Clinic, Rochester. As a member of this consult service, she triages and manages epidural and peripheral nerve catheters for both inpatient and outpatient populations. Reason for pain - is it due to recent surgery or trauma? Does the patient have a history of addiction? When asked if we have run the risk ot the pendulum swinging the other way where we're so afraid to hand out opioids that the pain is not being managed effectively, Catherine responded that her patients have told her they are fearful of pain and not being treated for their pain they're having especially in a post-operative setting. "There is a window (for patients) of about seven days to treat acute pain without the risk of chronic pain setting in. We as providers are bound by our duty to provide for patients' pain within that time frame." Consistent nursing assessment and documentation is key to successful pain management. Nurses should also consider nonpharmacological means of pain management too, for instance, ice, elevation, guided imagery, and massage. This is a national problem and one many nurses face each shift they work. Catherine's session was very popular and widely attended. One of the comments from the audience, "this is such an important topic given the current state of our healthcare system! I find this particularly relevant to the Cardiothoracic Surgery patients I typically encounter - in the facility in which I work a major issue is that generalized "pain management" policies do not take in to account the nature of the operation itself and the importance of pain control in preventing complications and improving outcomes. Pulmonary hygiene and early mobilization are paramount, however often difficult to achieve without adequate pain control. Unfortunately, it seems the corporate-minded aspect of many healthcare institutions is becoming a barrier to optimizing patient outcomes. I believe wholeheartedly that bedside critical-care nurses should be included by administrators in the development of methods to manage pain in postoperative recovery given the concerns of the opioid crisis. Great topic, glad to see it being discussed!" Pain control is an important element of patient care and one that deserves all nurses' attention. What is your hospital doing to ensure patients have adequate pain control? I recently had extensive urogynacological surgery (three weeks ago). I was provided adequate pain management for the first seven days. Because of the current atmosphere related to fear of addiction, I was then directed to use OTC pain relief. I was in absolute agony for the next seven days. I did not sleep, could not eat, literally cried when I had to go to the bathroom. I wished I had not had the surgery, but had just allowed the disease to take its course. Starting about the 15th day I was able to manage the pain using OTC NSAIDS, heat, cold, topicals, and meditation. I find it ridiculous that people with actual severe pain are required to suffer this kind of agony for seven days because of the narcotic abuse of others. This is an experience I will never forget. I feel like "opiod epidemic" had just become such a trendy catch phrase with half the people using it having no idea what they're talking about our why they're using it in the context of patients who really are looking for pain relief. We used to talk about "pain is the 6th vital sign" and "pain is what the patient says." Now God help you if you have pain without a clear visible cause. I was in absolute agony for the next seven days. . I'm so sorry you had this awful experience, and I hope you gave feedback to your surgeon. Yes. In all fairness, the physicians are so closely monitored and can be sanctioned for "excessive" opioid prescribing, that i feel they are also in a bad position.